As Jupiter Florida became more densely populated in the late 1990’s, builders started to shrink the lots sizes they put their homes on. Builders figured if they could squeeze 2 or 3 lots on a ½ an acre, their bottom line profits would be much greater. While the house size might be the same, the amount of land for families and kids to play, privacy, gardening and backyard barbeques got lost in the squeeze as much home on as little real estate as possible. Palm Cove Homes online now. All listings & Sold Statistics! 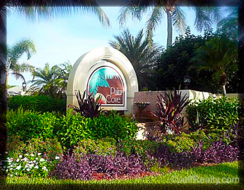 One of the last places that have affordable luxury homes in a gated community within Jupiter is Palm Cove. 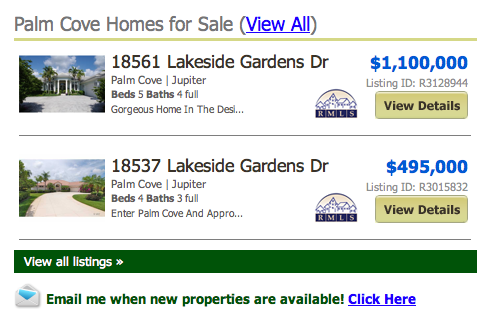 Palm Cove Jupiter homes for sale is just 27 home sites. These properties have an acre or plus of land. The subdivision has its own gate. The common area is lined with sidewalks and lush tropical foliage. The development was built in the mid 1990’s right before the building boom and was one of the last areas to be generous with land. The smallest homes were 3 bedrooms with studies having 2500 square feet under air to 5 bedroom 4,000 square foot homes. Many have 3 car garages. Lots of luxurious fine detailed appointments including volume ceilings with tray or coffered crown molding, gourmet kitchens, game rooms, and large windows to take advantage of the lake and natural vistas. Nearby are great schools, some within walking distance, shopping restaurants, beaches, and so many outdoor and social activities. The private enclave of Palm Cove in Jupiter Florida can be reached from Indiantown Road to Center Street. Turn left on Loxahatchee River Road to Roebuck and you will run right into the gate which brings you to Lakeside Gardens Drive and Fountain palm Drive. 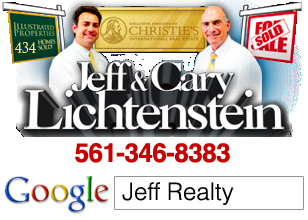 Posted in Jupiter homes, Uncategorized on September 29, 2011 at 2:50 am.